What are notes? What does a gourmand scent smell like? With the help of Heretic founder and clean perfumer Douglas Little, we reveal how to find a fragrance online without having the chance to smell it first. Skepticism. That’s the feeling you might get when purchasing a scent you’ve never tried via the Internet. 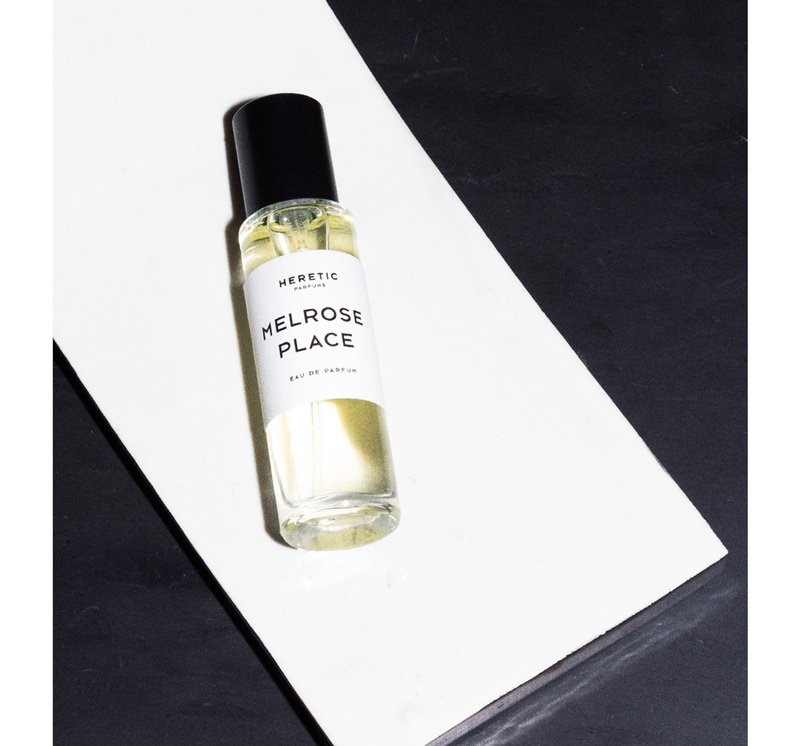 To simplify the process, the Violet Files spoke to Heretic Founder, clean perfumer, and the nose behind our exclusive scent Melrose Place, Douglas Little, to break down the sometimes complicated fragrance jargon. Notes are incredibly important to read when scrolling through a fragrance description. Simply put and according to Little, fragrance notes are a way of describing the components that make up each element of a perfume. Most scents include a top, a middle, and a base. Top notes: “The top notes of a perfume are made up of small, light molecules that evaporate quickly, but appear immediately after spraying a fragrance,” says Little. “These are important when making an initial impression.” Top notes usually consist of herbs, spices, and citrus ingredients. Middle notes: Known as middle or heart notes, these appear shortly after the top notes dissipate and form the main body of the perfume. “Heart notes are usually a little more mellow and stick around for longer,” adds Little. Middle notes usually include florals. 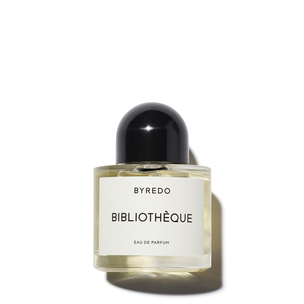 Base notes: “These form the main body of a perfume and introduce the depth and solidity,” says Little. “Base notes aren’t usually detectable until 30 minutes or so after application, but can last up to 24 hours, depending on their potency.” Typical base notes are resins, woods, and roots. 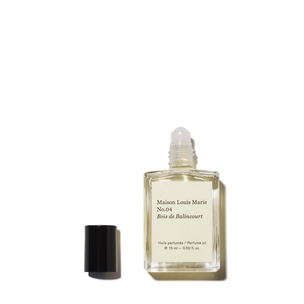 Citrus, floral, fruity, gourmand, green-slash-herbal, exotic, and woody is how Little categorizes fragrance. Below, a category roster to help define the scent family that is most appealing to you. Woody: A woody fragrance has predominant earthy woods notes. These include cedar, sandalwood, vetiver, moss, and patchouli. Floral: Rose, peony, tuberose, neroli, freesia, jasmine, lily, lily of the valley, honeysuckle, and/or violet fall into the floral family. Fruity: Raspberry, strawberry, peach, mango, and apple, in part or as a combination, define the character of a fruity perfume. Gourmand: A gourmand scent is defined by its sweet character of edible notes, from chocolate and caramel to cotton candy and sugar. Green/Herbal: This category stems from earthy, leafy, and vegetal notes, from grass and tea leaves to juniper and vetiver. Exotic: The spicy scents of exotic fragrances include notes like peppercorn, clove, vanilla, cinnamon, and oud. So what does clean fragrance consist of? 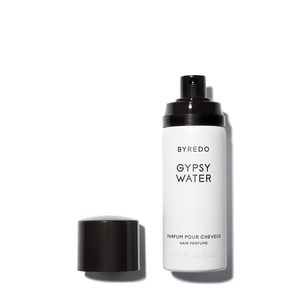 While there are many options and even more opinions, Little suggests asking yourself how clean or natural you want your fragrance to be. While Heretic does not contain any synthetics, there are brands that blend with safe synthetics. 1. Carefully read the description. Does it match what you’re going after? 2. Ask what the main featured fragrance note is. This will help to determine if it’s the right fragrance for you. 3. Do you want a bold or soft fragrance? “I go through phases—sometimes I’m in the mood for a bold, loud scent and other times I want something a bit more subdued,” says Little. He recommends asking the brand where the perfume sits on the scale of reserved to bold.